April is Parasite Prevention Month! Please call the clinic to find out more information regarding contests and offers throughout the month. Welcome to Uncas Veterinary Clinic! Since 1982, Uncas Veterinary Clinic has provided exceptional service and personalized care to each and every patient. We’re a full-service, state of the art veterinary practice that offers a wide range of services including wellness exams, soft tissue surgery, maintenance dentistry and dental surgery. Our facility has a wide range of in-house diagnostic equipment to compliment our services such as a comprehensive laboratory, ultrasound and radiography equipment. 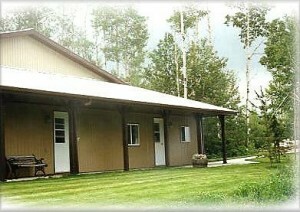 We are located in rural Strathcona County, Alberta, 15 minutes east of Sherwood Park and 25 minutes east of Edmonton. We offer evening and weekend appointments throughout the week to ensure we can meet all your veterinary needs. We take pride in the fact that we deliver the most effective treatment options available, and we’re constantly updating our equipment, techniques and education to offer the best possible care to our customers. Our expert team of veterinary professionals have a wide range of experience to bring you the best possible healthcare for your pet. It’s important to all of our staff that we become your trusted partner for all your pet care needs. We’ll work with you to ensure your companion animal lives a long, happy and healthy life. Click, call or visit Uncas Veterinary Clinic today! We’re committed to providing you and your pet with superior care and excellent service. ..Casey has been there a few times now..first a front leg amputation a few years ago due to a break that never healed..and recently bladder stones to which surgery happened..I can't say enough wonderful things about this clinic!!" "My dog is just as pumped when we pull into this place as the dog park! They are always very kind and gentle, have never had an issue!" "The staff are incredible! So welcoming and friendly and took such awesome care of our dog before, during and after his surgery! Not to mention they got him in so quickly! So thankful!"